Creating a successor for the beloved Giulia is a hard challange but Sensa have achieved this with the all-rounder which is the G3. Keeping all that was already good, yet dropping weight, adding comfort and making it more aerodynamic. Creating a bike that’s stiff enough to be a proper racer. And still light enough to fly up those mountains. Stable to descent as fast as you dare. Yet comfortable enough to finish any Gran Fondo. 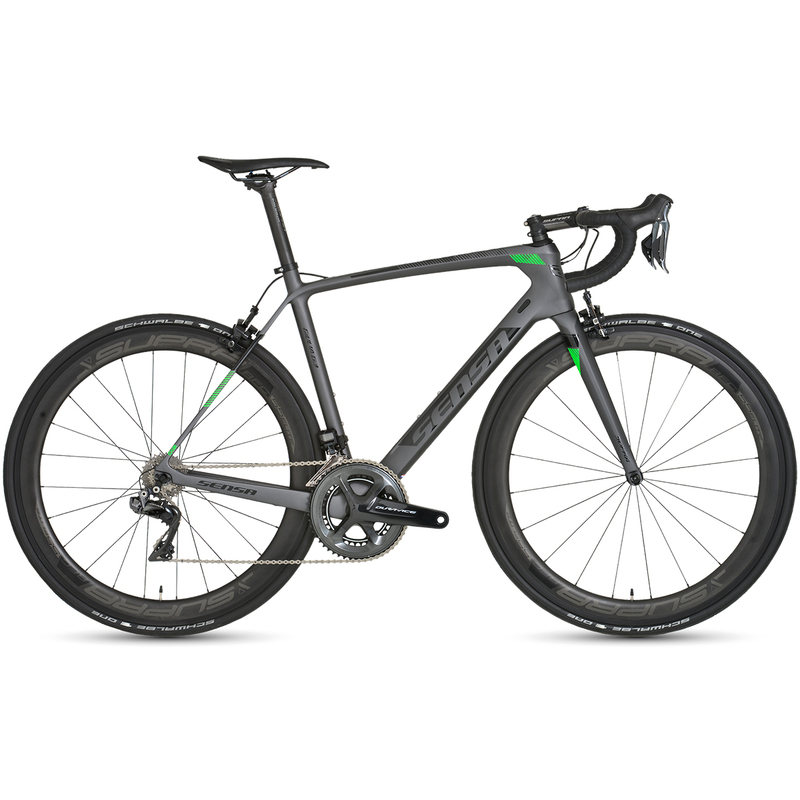 The geometry is suitable for comfortable riding up to racing. For each size the geometry and the tubing dimensions are optimized. It’s optimized for 25mm tires but it can take 28mm as well.